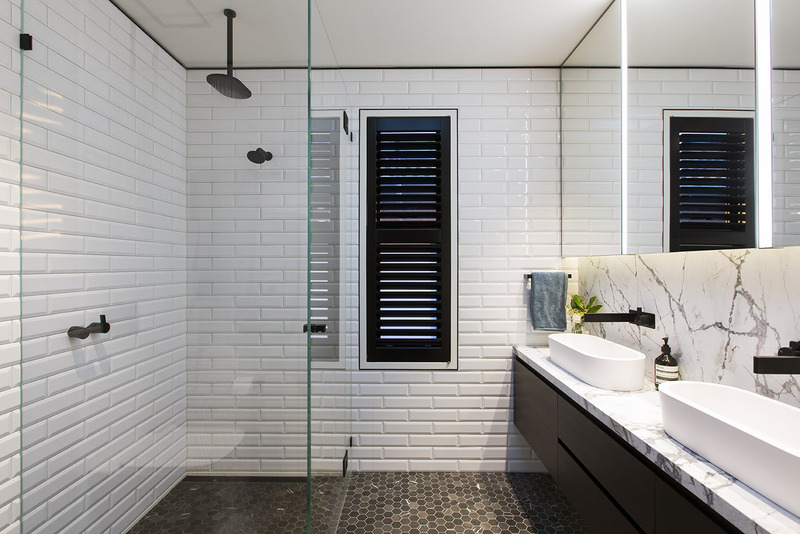 According to Justine Wilson, Director and Principal Stylist at Vault Interiors, bathrooms are no longer simply functional spaces lacking in personality, but a space where we are increasingly spending a good portion of our time in. With the rise of Instagram stars, beauty vloggers and influencers, an era of high makeup and beauty has been ushered in and we appear to be spending more time in our bathrooms than ever before. 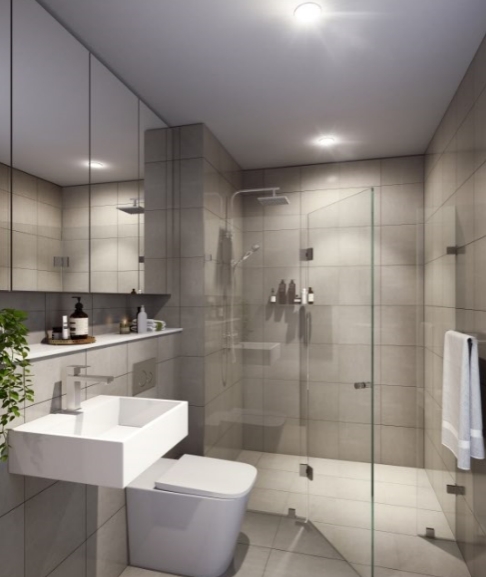 Whether it’s for beauty, personal care or simply destressing after a long day, the bathroom is an essential part of daily life. Looking to sell your property? Or has a renovation show given you that ‘reno itch’? 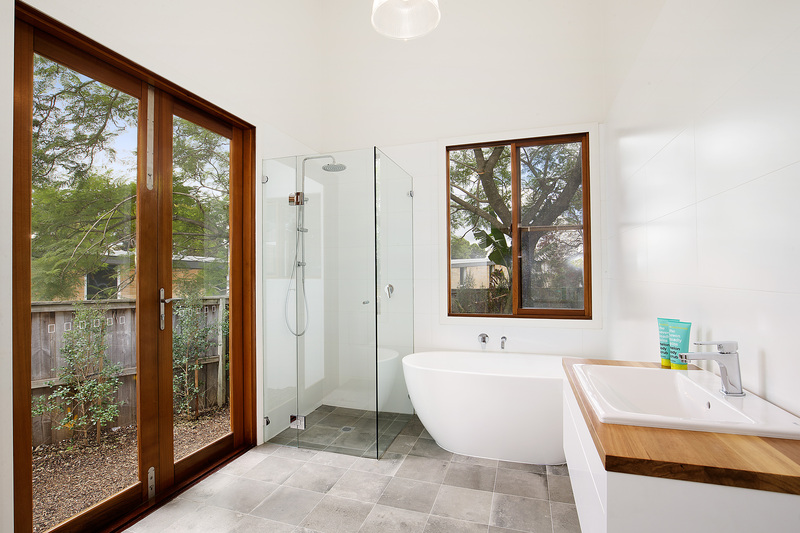 Bathrooms are the second most important room in a property after the kitchen, and can significantly improve the value of your property if renovated well. 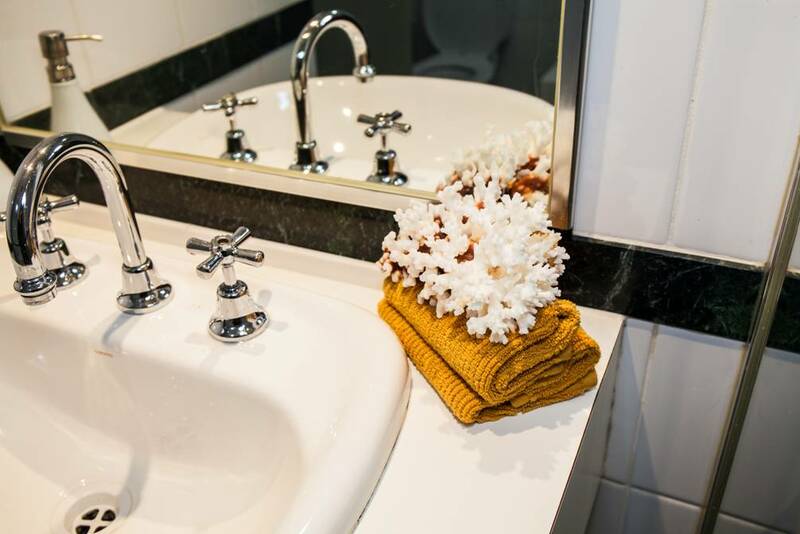 Justine spills nine easy ways to make that bathroom experience all the more glamourous, keeping you on point with the latest trends without breaking the bank. In her words, “The bathroom doesn’t need to be the most boring and plain space of your house,” any longer! Tap Ware Feature – Make a statement! Consider matt black, gold or rose gold tap ware for an on-trend statement feature. 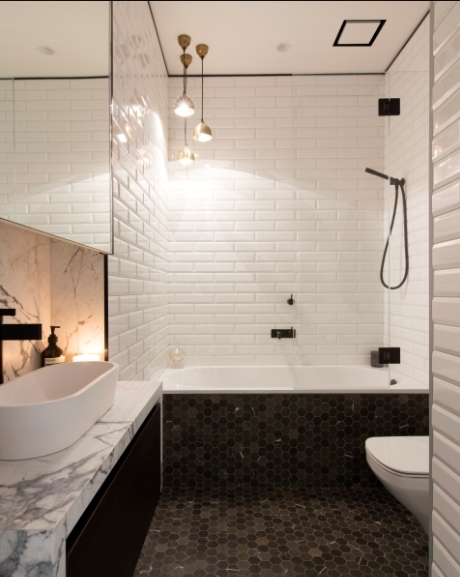 Upsized Tiles – Use large floor tiles and repeat the floor tiling as a feature wall to create a modern and glamorous bathroom look. Gloss Away– Choose a darker colour or gloss finish for your floor or feature tile to create a luxurious feeling. 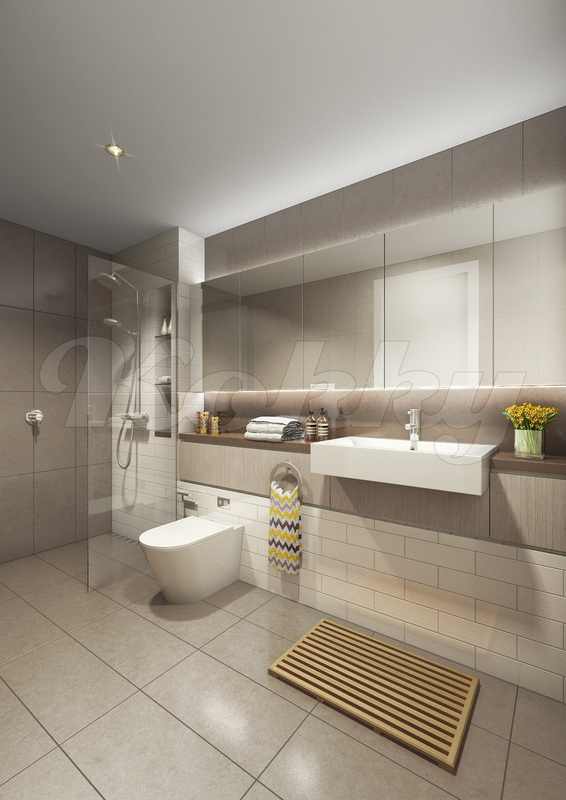 Neutral Palette – Opt for a neutral palette so your bathroom won’t date quickly. Floating Design– The ‘floating’ design element is popular with vanities now and it a great way to create the illusion of space. Oversized Mirror– An easy and affordable way to enhance the sense of scale and space in the bathroom. 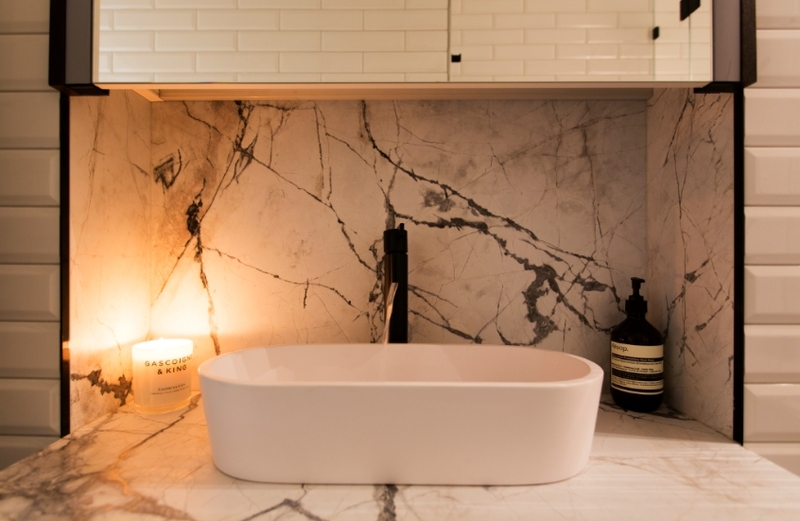 Natural Material – Introducing natural material like marble will always give your bathroom an upmarket and glamorous feeling. Metallic Accessories– Scented candles, gold bowls for soaps and beautiful hanging feature lighting pendants give a glam pop. Accent Colours– Introduce accent colours with bath towels and flowers to help add decadence to the bathroom. 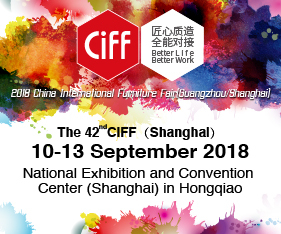 Posted in Architecture & Design and tagged bathrrom, DIY tips, furnishing international, furniture, industry, industry news, interior design, interiors, news, trends, Vault Interiors. Bookmark the permalink.